Mobile Network Operators (MNOs) need to be able to verify and validate new services to ensure their smooth operation from concept to trial, and on to mass deployment. Delays and service imperfections are costly, reducing efficiency and affecting subscriber satisfaction. In addition, CSPs need to be able to capitalise on emerging opportunities and to maximise their return on investment in new technologies, such as VoLTE and 5G. Powerful service validation solutions that reduce cost and time to market for mobile core, IMS and legacy networks. Minimise churn, assure QoE and deliver the best possible end-user experience by validating the solutions before deployment. 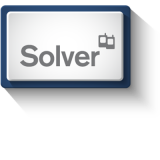 Solver´s easy to use GUI and automation capabilities reduce systems integration challenges and project risk. Solver’s broad technology coverage, from 2G to 5G, combined with advanced automation capabilities provides a single solution to address both and feature and regression testing, at scale. Polystar’s Service Validation solutions allow CSPs and NEMs to confidently launch new services and deploy network enhancements. Solver is a stress and feature testing solution that provides support for all required technologies, covering both legacy SS7 as well as LTE and emerging 5G, making it ideal for converged networks and NGN deployments.